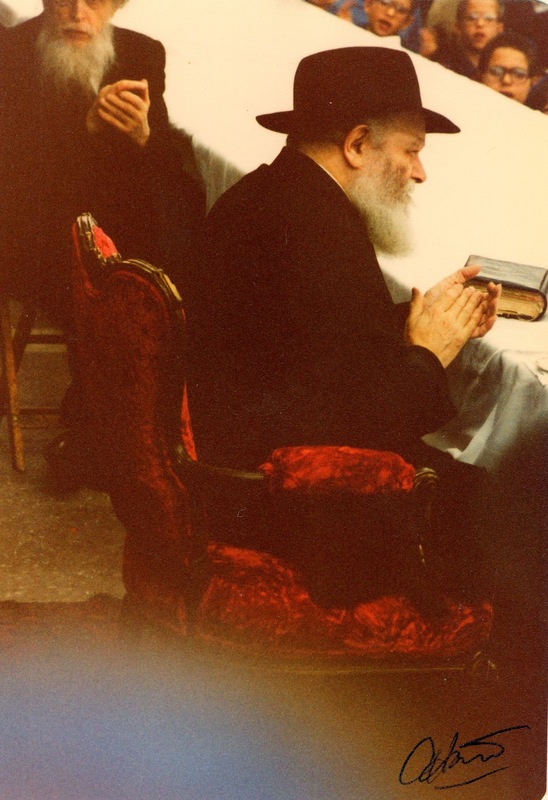 The Rebbe: What is the Role of a Chabad Shliach? What is the role of a “Shliach”? What does it mean to commit to a lifetime of outreach and, wherever a Chabad emissary goes, to carry out the Rebbe’s work? In honor of this year’s Shluchim Convention, the Avner Institute presents a moving story by Rabbi Shimon Sonnenfeld, of Kiryat Malachi, Israel, of a young “shaliach-in-training” whose Shabbat in a secular kibbutz turns out to be anything but coincidence. This week’s e-mail is sponsored by Daqri LLC of Los Angeles, California, in honor of Chabad Shluchim around the world. To learn more about Daqri and how it can benefit your community. One Friday afternoon a van with eight teenage boys, students of Migdal Emek yeshiva in northern Israel, was traveling on a winding road in the Galilee. They made a round every Friday, visiting different settlements in order to give the residents an opportunity to lay tefillin, have their mezuzot checked, and send out pamphlets explaining various mitzvoth. The boys exited the van and searched for a suitable place. Resting in the shade of a large, ancient olive tree, they drank soda and breathed in the clear air of the Galilee hills. One of the boys went to lie down in the shade of a tree a short distance away from his companions. In exhaustion he fell fast asleep. After ten minutes, the boys returned to their van. Since all of them went to different places each Friday and the team frequently changed, nobody noticed that one of the students was missing. After about an hour, the boy awoke and to his surprise discovered that the van had disappeared. He ran to the road, but there was no trace of the van. Here he was, alone on a dusty road in the Galilee, and Shabbat was approaching! How would he make his way back to the yeshiva on time? Where would he stay for Shabbat? Where would he eat the Shabbat meals? Where would he pray and listen to the Torah reading? And how would he be able to shower and change his clothes in honor of Shabbat? He started to walk briskly along the road. Perhaps he could reach the main road and find a car that would take him to the yeshiva. But the road was silent and no cars were passing by on that late Friday afternoon. The sun cast its red rays on his face as it set on the western horizon. The boys hastened his steps in order to reach a settlement before the entrance of the day of rest. However, the only settlements he could see were Arab villages where naturally he had no desire to spend Shabbat. Since carrying on Shabbat was forbidden, he removed whatever he had in his pockets and placed them under a stone. He was careful to leave a certain sign in order to find them later. “The kibbutz secretary lives in the third house on the right. You should ask him,” the member answered. The student went to see the secretary, who understood his situation and showed him a room where he would sleep. The secretary also invited the young man to supper in the kibbutz dining hall. The student thanked him but felt that he could not eat there, as the kibbutz lacked a kosher kitchen. Instead, he asked for two whole loves of bread. Afterwards he prayed the Shabbat evening prayers alone, much of which he fortunately knew by heart, in his room. He made Kiddush on the bread and ate his Shabbat meal—bread and tomatoes. The next morning he awoke when the sun’s rays penetrated his window. He remembered at once where he was. Now he had to get ready for the Shabbat day, praying by himself, without the synagogue Torah reading, without the Shabbat meals together with his friends in the yeshiva. He prayed again by heart and read the Torah portion in a Bible from the kibbutz library. By noon he had his meal, consisting of the same menu as the night before. He approached the children and asked if they wanted to participate in a small party. A big group readily agreed. A few youth counselors from the kibbutz also joined in order to see what was going on. The yeshiva boy started to sing Jewish songs together with the children. They all happily joined in with loud voices, clapping their hands. He told them about the weekly Torah portion and a number of Chassidic stories. All the children gave him their full attention. This was the first time in their lives that anyone had introduced them to authentic Judaism. They enjoyed every moment of the Shabbat party. “You should know that everything that happens in the world is by Divine Providence. The Creator of the world prepares the steps of each man. Wherever he goes, he has a certain Divine mission to fulfill, although we are not always able to understand the purpose of everything that happens. “For instance, look at what happened to me and where I am now. I was supposed to be together with my friends in my yeshiva right now, and instead I ended up here, together with you. “I am one hundred percent sure that it was not by pure chance that we decided to stop that van exactly next to those olive trees on the side of the road. It was not by chance that I fell asleep under a tree at a distance from my friends. It was not because of ‘luck’ or ‘bad luck’ that my friends continued the trip back without noticing I was missing. Neither was it a coincidence that no cars passed by on the road and I continued by foot until I reached the first Jewish settlement on my way – which was your kibbutz. All of them present turned around and stared at her in amazement. “I have always taken an interest in my religion,” the girl continued, “and I always wanted to learn more. I heard that Lubavitchers organize evenings with explanations about Judaism, and I asked the head of the cultural committee here to invite them, but he always turned it down. Despite my efforts, my request was always rejected.